SARASOTA, FLORIDA, May 2, 2018 – Much steam remains in the building boom in the city center of Sarasota, with developers now shifting more towards high-end residential condominium projects in the main downtown area. The new projects coming in are relatively leaner in terms of number of residential units, as parcels zoned as downtown core come with a 10-story limit. This ceiling compares with up to 18 stories allowed at the city’s bayfront where developable lands for Sarasota condos for sale are now quite limited. Builders, moreover, are driven to focus on luxury condominium projects because the city allows a maximum density of just 50 units per acre. While a new zoning code is being drafted, residents allowed to participate in the exercise are urging city authorities to focus on keeping Sarasota’s small-town charm and character. It is under this scenario that MK Equity is pursuing construction of The Collection, its new condominium on 1335 Second Street for which it filed plans with the city in end-January. Set in a 0.24-acre site near the Selby Public Library, this planned condominium is for just 12 units within a 10-story building. 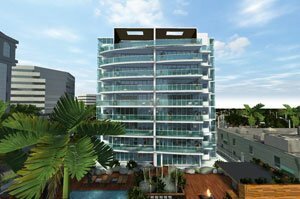 MK Equity, which also developed the posh 17-unit Sansara condominium on South Pineapple Avenue, hopes to start construction of The Collection within this year. Its planned condo units’ living areas are set at between 2,500 and 3,500 square feet, with their pricing in the $1.3 million‒ $3.3 million range. Given the central location of this project bounded by U.S. 41, U.S. 301, Ringling Boulevard and Fruitville Road, MK Equity is grooming this condominium as an architecturally significant building in downtown Sarasota. The amenities in the Collection’s plans include a lobby with concierge desk, pool, spa, sauna, and yoga and fitness room. In addition, the condominium will provide residents with an entertainment area with fireplace and wet bar, a corporate center with a meeting room, a heated and air-conditioned private storage area, a dog run and two-car garage parking per condo unit. 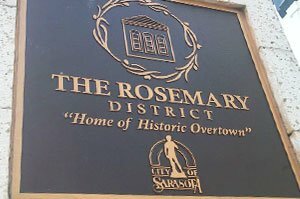 Meanwhile north of the downtown core, another development is set in the Rosemary District at the parcel currently home to the office of the Sarasota Film Festival, which is owned by the family of its president, Mark Famiglio. Also a prominent local developer, the film festival head filed with the city in February plans for a mixed residential‒commercial project at 332 Cocoanut Avenue. The project aims to build a five-story building which will include 36 residential units. Famiglio said those units will be sold at prices approximately between $460,000 and $600,000. 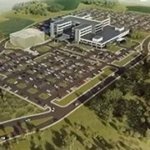 The first two floors of the building will have office space of 10,000 square feet. A part of this square footage will be devoted to the film festival, with the rest possibly marketed as shared co-work space. Retail space of 800 square feet for a small café is also in this project’s blueprint. Famiglio hopes to start the project in May or June, with construction expected to be completed in 10‒12 months and further advance Rosemary District as a prime destination for buyers of Sarasota condos for sale.